Located in the Ohio region, Newton Falls is a town and its area, population and various key information is listed below. For all your administrative procedures, you can go to the city hall Newton Falls at the address and times indicated on this page or contact the town hall’s reception by phone or by email depending on your preference or the information available. Newton Falls satellite image: Newton Falls town from the sky! 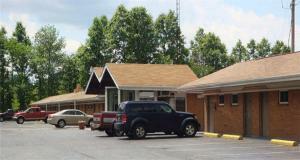 This motel is located offer Interstate 80 and is 4 miles from downtown Newton Falls. The pet-friendly motel offers wake-up call services and rooms with free Wi-Fi. Budget Lodge Newton Falls rooms include a microwave and refrigerator. This Newton Falls hotel is a 5-minute drive from the Riverview Golf Course. The pet-friendly hotel features daily continental breakfast and rooms include refrigerators. This Warren hotel offers free Wi-Fi, a 24-hour reception, and rooms equipped with a 32-inch flat-screen TV. The Trumbull Country Club is 2 miles away. A work desk is offered in each warmly decorated room at Park Hotel Warren. The Econo Lodge Inn & Suites is located between Cleveland and Pittsburgh, providing convenient access to many area attractions. 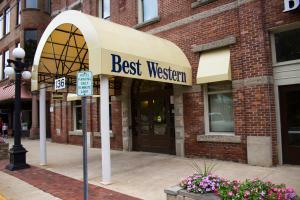 Located in Youngstown, Ohio, this hotel features an indoor pool and a fitness centre. Wi-Fi access is available. A fully equipped kitchen comes standard in each room at Candlewood Suites Youngstown.